• There are 768 luxurious rooms and suites. • Skiing, a tennis court, a golf course, a hoseback riding, a Turkish bath/steam, a sauna, a fitness center, a spa, a massage room, a hot tub, an outdoor pool, an indoor pool, a terrace, a bycicle rentail. • Located in Banff National Park. 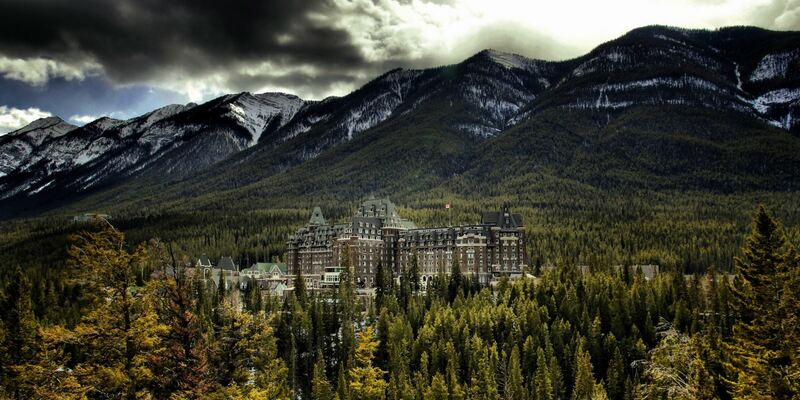 • 1887: Built the Hotel Banff Springs.